A string of violent storms that spawned possible tornadoes on Friday capped off a wild week of severe weather across the southern and eastern U.S.
Mississippi Gov. Phil Bryant declared a state of emergency on Friday in response to the tornadoes that left behind a trail of destruction on Thursday. This is the second time in less than a week that a state of emergency has been declared in Mississippi due to tornadoes. As of Friday afternoon, at least five fatalities had been reported due to the storm. The latest fatality is from a traffic incident involving hydroplaning in Fort Gordon, Georgia, on Friday evening. Earlier Friday morning, the storm caused the death of an 8-year-old girl in Leon County, Florida. The Leon County Sheriff’s Office report that a tree fell into a house in Woodville, located south of Tallahassee, killing the girl and injuring a 12-year-old boy. Three deaths occurred on Thursday – one in Alabama and two in Mississippi. A 42-year-old woman was killed Thursday night in St. Clair County, Alabama. Monica Clements died when a when a tree fell on her home, St. Clair County Sheriff’s Office told local news station WRBC. According to officials, Clements’ 10-year-old son was also home at the time of the incident. He sustained minor injuries. In Mississippi, Amite County Coroner Campbell Sharp told local news station WLBT that 24-year-old Kenderick Magee was killed while driving in the severe weather. Magee’s car crashed on Bean Road in the Gillsburg Community. He died as a result of his injuries. A tree fell onto a vehicle Thursday afternoon in Neshoba County, Mississippi, leaving one person dead, according to the Neshoba Democrat. There have been widespread power outages as the storms blast eastward. Over 200,000 electric customers were without power on Friday evening from Mississippi to Florida and northward through Virginia, according to PowerOutage.us. North Carolina topped the list with over 70,000 outages. These numbers started to decline on Friday night. Travel delays mounted as fallen trees and flooding made some roads impassable. Atlanta’s Hartsfield-Jackson International Airport had over 1,000 delays on Friday, and airline delays and cancellations will continue to have ripple effects for travelers across the nation. Flash flood, severe thunderstorm and tornado warnings clashed in regions of Mississippi and Louisiana Thursday afternoon as a line of vigorous thunderstorms swept through the region. One tornado just missed striking Jackson, Mississippi, but instead passed through the nearby town of Clinton. Cars lay strewn across a Walmart parking lot, knocked over onto their sides while rain continued to fall. In Utica, Mississippi, authorities reported a Hinds County school bus trapped by two trees on the road. Officials confirm that the driver and children are okay. 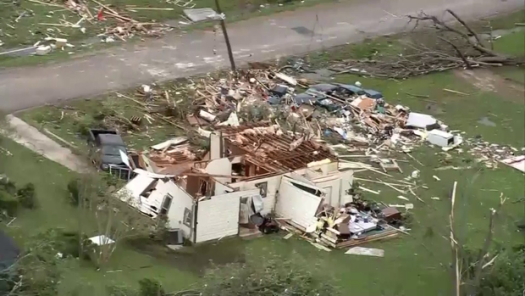 According to officials, homes have been destroyed in Morton, Mississippi, after severe storms and a potential tornado moved through the area. 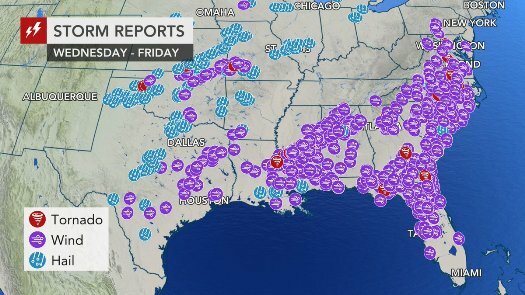 Storms ravaged Mississippi, Alabama and the Florida Panhandle before moving into western Georgia on Thursday night. Having seen the destruction that played out in the Mississippi Valley over the past few days, many school districts in central Georgia canceled class for Friday as part of storm preparation tactics. The multi-day outbreak began on Wednesday afternoon when powerful thunderstorms developed from the Texas Panhandle to central Iowa. One tornado was confirmed near Higgins, Texas, Wednesday evening. Two EF0 tornadoes also struck Missouri, one near Greenfield and another near Meinert. A rare phenomenon occurred on Wednesday as twin tornadoes – two tornadoes appearing near each other at the same time – touched down 4 miles west-northwest of Shattuck, Oklahoma. 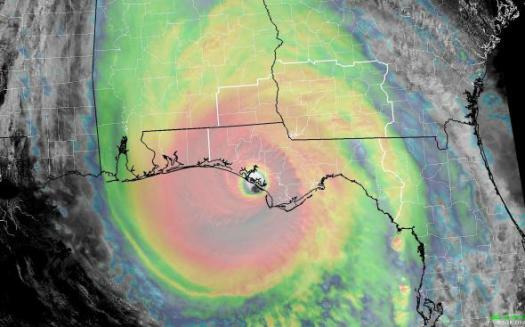 Scientists at NOAA’s National Hurricane Center announced on Friday that Hurricane Michael was a Category 5 hurricane on the Saffir-Simpson Hurricane Wind Scale when it made landfall near Mexico Beach, Florida on Oct. 10, 2018. It was previously listed as a Category 4 hurricane. The adjustment to the hurricane’s category came after a post-storm analysis of the devastating storm that hit the Florida Panhandle last year. Scientists now estimate that the wind intensity at landfall was 160 mph, not the previously estimated 155 mph. The additional 5 mph was enough to push it into the next category. “It will look like a bomb or a tsunami hit the area,” AccuWeather Founder and President Dr. Joel Myers said before the hurricane hit. The now-Category 5 hurricane had blasted through the Florida Panhandle, carving a path of destruction through the East Coast before tracking back into the Atlantic. Before the storm hit, Myers estimated there would be about $30 billion in damage from the storm. The last Category 5 hurricane to strike the mainland U.S. was Hurricane Andrew in 1992, which was also initially designated as a Category 4 and was later upgraded to a Category 5. Prior to becoming a Category 5, Michael was already known as one of the most destructive and powerful storms in recorded history. Michael had a minimum central pressure of 27.13 inches of mercury when it made landfall, making it the third-most intense U.S. landfalling hurricane behind Katrina and Andrew. “The minimum central pressure is probably the most accurate way to measure the intensity of a hurricane,” AccuWeather Senior Meteorologist Alex Sosnowski said. Measuring the wind speed of a hurricane can often prove more difficult, as anemometers can be destroyed or blown away at wind speeds above 100 mph on land. Some meteorologists stated back in October that they would not be surprised if it was later upgraded to a Category 5. “Based on central pressure and looking at some of the damage photos and videos coming in, I would not be shocked if Michael is upgraded to a Category 5 hurricane after official review,” Sosnowski said a few days after Hurricane Michael hit. But even with the damage at around $30 billion, the Category 5 storm didn’t come close to the financial losses of Hurricane Harvey, a Category 4 storm at landfall, which had an economic impact of $190 billion. Kottlowski points out that even though Michael’s damage was catastrophic, the financial cost shows that the Category 5 hurricane missed highly populated areas. A powerful computational study of southern California seismic records has revealed detailed information about a plethora of previously undetected small earthquakes, giving a more precise picture about stress in the earth’s crust. A new publicly available catalog of these findings will help seismologists better understand the stresses triggering the larger earthquakes that occasionally rock the region. “It’s very difficult to unpack what triggers larger earthquakes because they are infrequent, but with this new information about a huge number of small earthquakes, we can see how stress evolves in fault systems,” said Daniel Trugman, a post-doctoral fellow at Los Alamos National Laboratory and coauthor of a paper published in the journal Science today. “This new information about triggering mechanisms and hidden foreshocks gives us a much better platform for explaining how big quakes get started,” Trugman said. Trugman and coauthors from the California Institute of Technology and Scripps Institution of Oceanography performed a massive data mining operation of the Southern California Seismic Network for real quakes buried in the noise. The team was able to detect, understand, and locate quakes more precisely, and they created the most comprehensive earthquake catalog to date. The work identified 1.81 million quakes — 10 times more earthquakes occurring 10 times more frequently than quakes previously identified using traditional seismology methods. The team developed a comprehensive, detailed earthquake library for the entire southern California region, called the Quake Template Matching (QTM) catalog. They are using it to create a more complete map of California earthquake faults and behavior. This catalog may help researchers detect and locate quakes more precisely. The team analyzed nearly two decades of data collected by the Southern California Seismic Network. The network, considered one of the world’s best seismic systems, amasses a catalog of quakes from 550 seismic monitoring stations in the region. 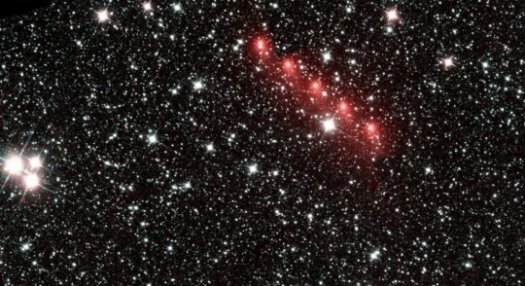 The SCSN catalog is based entirely on the traditional approach: manual observation and visual analysis. But Trugman says this traditional approach misses many weak signals that are indicators of small earthquakes. The team improved on this catalog with data mining. Using parallel computing, they crunched nearly 100 terabytes of data across 200 graphics processing units. Zooming in at high resolution for a 10-year period, they performed template matching using seismograms (waveforms or signals) of previously identified quakes. To create templates, they cut out pieces of waveforms from previously recorded earthquakes and matched those waveforms to patterns of signals recorded simultaneously from multiple seismic stations. Template matching has been done before, but never at this scale. “Now we can automate it and search exhaustively through the full waveform archive to find signals of very small earthquakes previously hidden in the noise,” Trugman explained. Applying the templates found events quake precursors, foreshocks and small quakes that had been missed with manual methods. 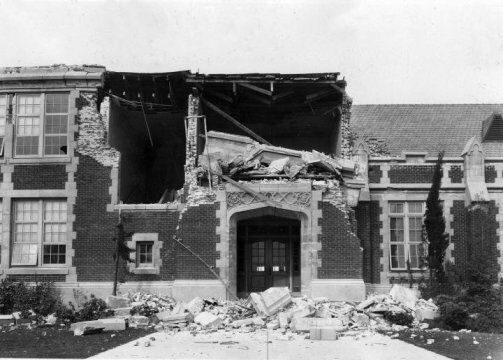 Those events often provide key physical and geographic details to help predict big quakes. The team also identified initiation sequences that reveal how quakes are triggered. New details also revealed three-dimensional geometry and fault structures, which will support development of more realistic models. Recently, Trugman and Los Alamos colleagues have applied machine learning to study earthquakes created in laboratory quake machines. That works has uncovered important details about earthquake behavior that may be used to predict quakes. Some scientists compare Mercury to a cannonball because its metal core fills nearly 85 percent of the volume of the planet. This large core — huge compared to the other rocky planets in our solar system — has long been one of the most intriguing mysteries about Mercury. 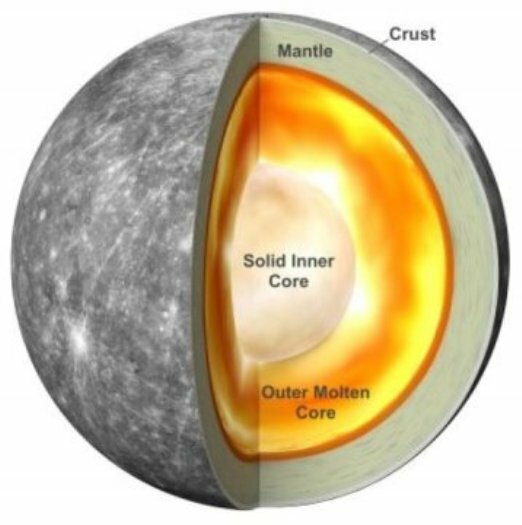 Scientists had also wondered whether Mercury might have a solid inner core. 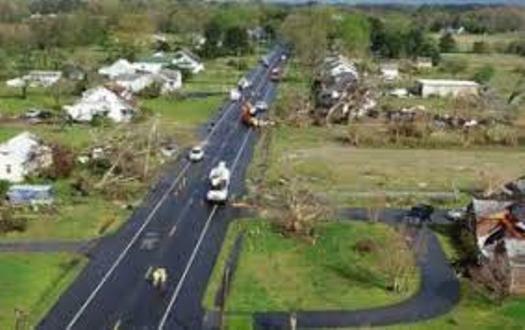 The National Weather Service confirmed a tornado touched down in Laurel, Delaware, overnight, leaving behind a path of destruction for miles. Officials say an EF-2 tornado, with maximum wind speeds of 120 mph, tore through the town.